Meryl Streep becomes oldest person to grace the cover of 'Vogue' at 62. Veteran actress Meryl Streep continues to make the awards season rounds in promotion of her mirror image performance of former British Prime Minister Margaret Thatcher in The Iron Lady. The flashiest “get” of her publicity campaign is landing the cover of Vogue for the first time in her career and coming just a few years after playing an Anna Wintour-inspired fashion editor in the comedy The Devil Wears Prada. 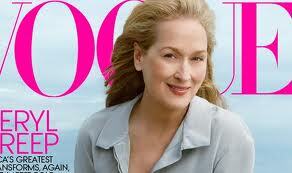 Vogue editors tell EW that Streep, 62, looks to be the oldest person to appear on the cover of the fashion mag. In the entertainment and fashion industries, where ageism runs rampant, Streep’s appreance on the cover of Vogue may turn out to be one of her most impactful achievements. Architect and Columbia University professor Steven Holl, best known stateside for the subterranean Nelson Atkins Museum Bloch Building in Kansas City, Mo., MIT’s Simmons Hall, a dormitory building in Cambridge, Mass. and the Pratt Institute’s Higgins Hall addition in New York City, is the recepient of the 2012 American Institute of Architects (AIA) Gold Medal. Projects scheduled to open in 2012 include the Campbell Sports Center in New York City, the Beirut Marina & Town Quay in Beirut and the Nanjing Sifang Art Museum in Nanjing, China. 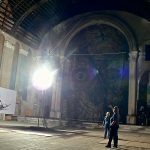 The Hollywood awards season is in full swing but one of the biggest year’s end lists belong to Franklin Leonard of the production shingle Overbrook Entertainment and his 2011 Black List of the Best Unproduced Screenplays. Graham Moore’s script about British wartime code breaker Alan Turing, who cracked the Enigma code during World War II but killed himself after being persecuted for his homosexuality, is the top Black List vote-getter joining past Black List scripts for The King’s Speech, Slumdog Millionaire and Juno. Moore’s script is based at Warner Bros. with Leonardo DiCaprio attached to play Turing. Maybe its Black List crown will help push the project into production.